We can’t wait to welcome you to Houston and the Texas Apartment Association Education Conference & Lone Star Expo next week. Here’s what you need to know as you make your plans to attend. It’s not too late to join 4,000+ of your industry colleagues in Houston—but now you’ll need to register onsite at the George R. Brown Convention Center for the 2019 Texas Apartment Association Education Conference & Lone Star. Learn about available registration options and costs. Download the Conference app and create a login to make a personalized schedule. Prep for a schedule packed with education, networking and plenty of options for fun! We’re really looking forward to welcoming you to Houston next week! If you haven’t made your plans yet, just head on down to the George R. Brown Convention Center for a day or more—we have an impressive program planned, and you can still register onsite. We’re expecting more than 4,000 industry professionals, including our supplier partners who will be exhibiting in our largest-ever Lone Star Expo, so you won’t want to miss out. Think ahead. Download the TAA app in the App Store or on Google Play. Look for Texas Apartment Association, download and then open the 2019 Education Conference icon. You can create a login and personalize your schedule, keep notes, message other attendees, and more. Pack comfortable shoes, an umbrella and a light sweater or jacket. Dress is business casual for all Conference events and activities, except the Emerald Extravaganza Installation & Awards Gala on Friday night. Dress for that event is business suit for men, After 5/cocktail attire for women. Emerald green accents encouraged. Arrive early—It’s going to be crowded. Factor in time to pick up your badge AND arrive early to the sessions you most want to attend. Complete seminar and other details are in the Conference app. Please note that “Open Space Sessions” are limited to 40 participants and any “Lab” sessions are limited to 100 participants, so plan to arrive early for those options. Limited shuttle service will be available from 7-11:30 p.m. from the Hilton Americas and the Marriott Marquis Hotels. Last bus will leave Minute Maid Park at 11:30 p.m. Parking available in the lot located at Texas Avenue and Hamilton Street. Entrances to Minute Maid Park are located at South Home Plate (Texas Avenue and Avenida De Las Americas) and the Atrium Entrance on Texas Avenue off Crawford. View park entrances. Support the TAA PAC. There are two ways to support the TAA PAC during the Conference: Play in the TAA PAC Bowling Tournament on Wednesday, or register for a social package and cheer on your friends. 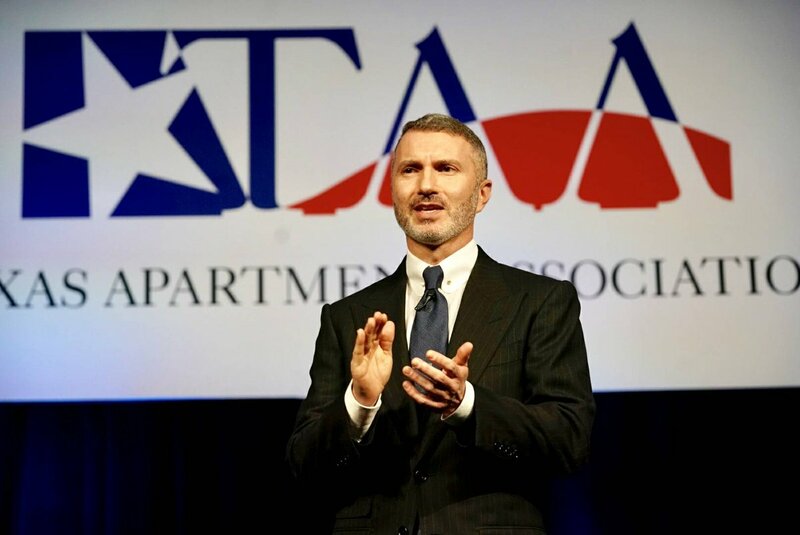 On Thursday and Friday, your $200 contribution to the TAA PAC will give you a two-day pass to the TAA PAC Lounge inside the Lone Star Expo, with complimentary food and beverages, plus a chance to relax with some of TAA’s most influential members and Conference Emcee Tim Kennedy. Contribute online.